My sister seems to throw a lot of baby showers. And since we don’t live in the same state, there is a lot I can’t help her with, but I always seem to get involved in the brainstorming, and design of the shower. We’ve loved the idea of doing something centered around children’s books, ever since we saw this fantastic table from The Hostess with the Mostess, some time back. This isn’t the first time I’ve used a book as inspiration for an invitation. You can see our Nancy Drew birthday party invites, here. Absoulutely adorable. Goodnight moon is such a good theme all in of itself! 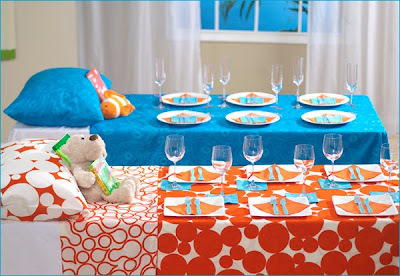 What a cute baby shower theme. So cute! Goodnight moon is such a good theme all in of itself! Okay, that table is the CUTEST table EVERY! You guys throw the best baby showers! This is pretty much the best baby shower theme ever! I always give new parents the book Goodnight Moon and now I know what my next shower theme will be. Thanks so much for the great idea! 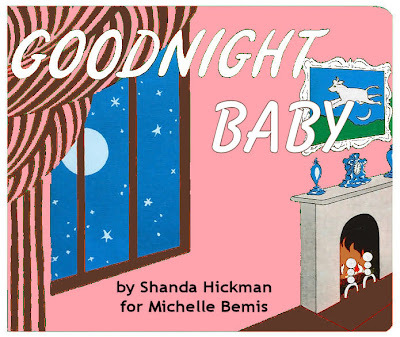 Hi, I just saw this- I want to do a Goodnight Moon theme for my daughter's birthday and have been looking for a similar font to the title. How did you do the invite graphic? Thanks! !